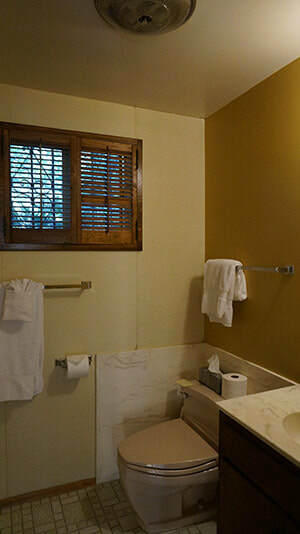 During Winter Months, Guest Pays Additional $75.00 for Snow Removal, which Covers Plowing Driveway and Clearing Steps. 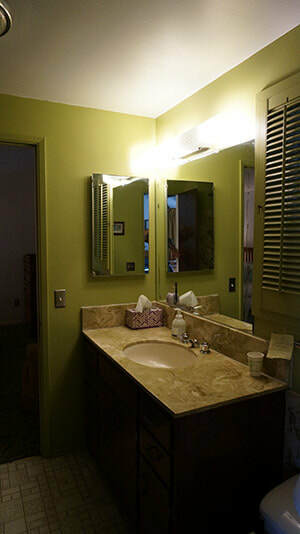 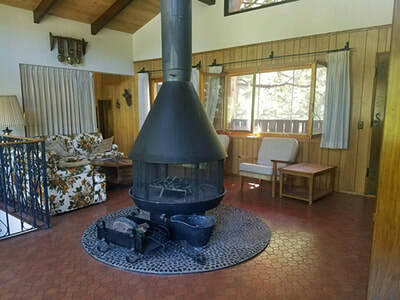 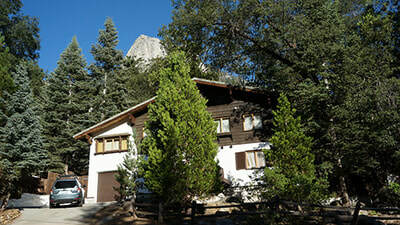 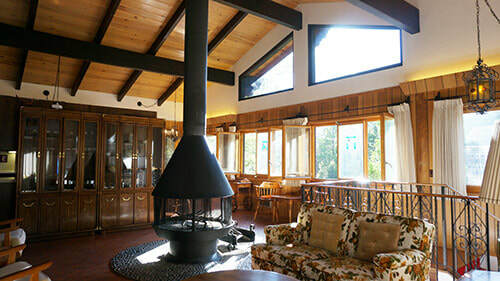 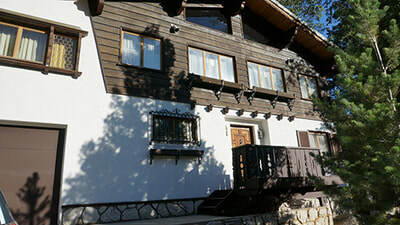 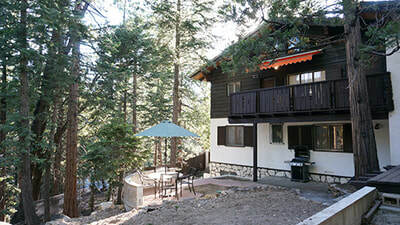 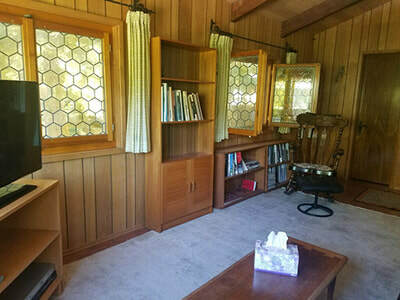 Swiss Chalet - A Vacation Rental Located in the Mountains of Idyllwild, Calif. Snow Plowing and Removing Snow from Steps: $75.00. Swiss Chalet, located in Fern Valley, two blocks from Humber Park, offers visitors easy access to plenty of well marked hiking trails that have made Idyllwild famous. 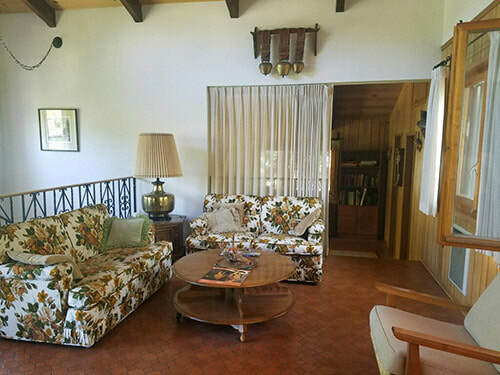 This two bedroom, one and a half bath cabin has a large, open living room with six large windows to outdoor vistas. 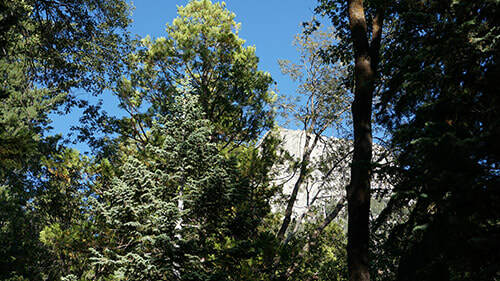 Experience spectacular views of Suicide Rock and Marion Mountain. 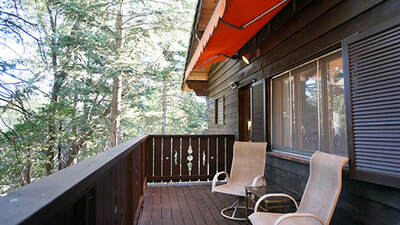 Sit on the back deck and enjoy the natures slender and beautiful views in absolute peace and quiet. The large back yard is completely fenced and perfect for your pet. 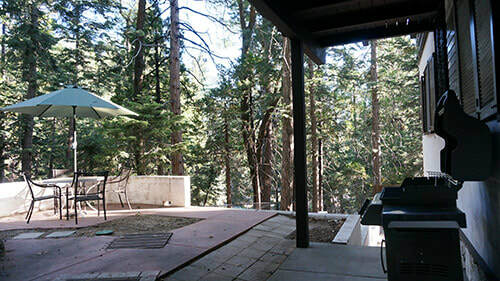 Cook on the brand new outdoor BBQ and enjoying dining outside with the provided table and chairs. 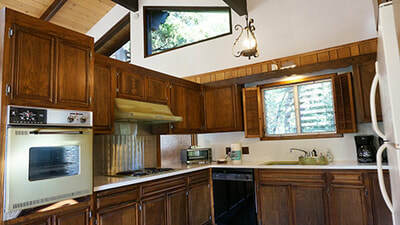 A seasonal creek flows behind the cabin and only adds to the cabins charm. 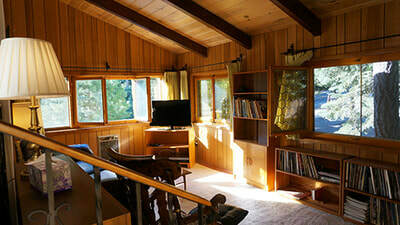 There are two bedrooms on entry level which stay cool in summer months. 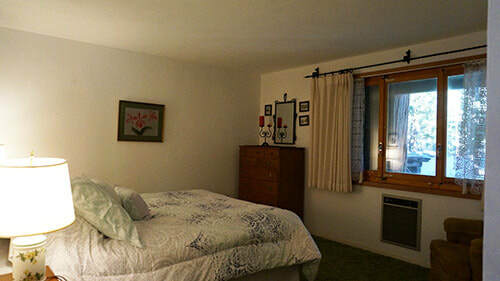 The master bedroom has a brand new queen-sized bed with views out into the yard. 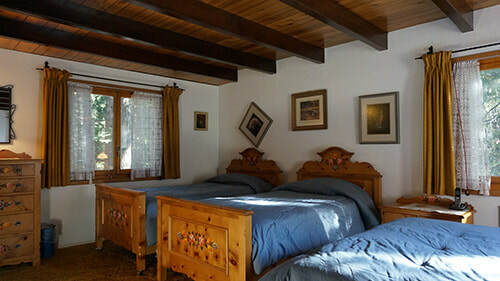 The second bedroom is very spacious with one double-sized bed and two twin beds. 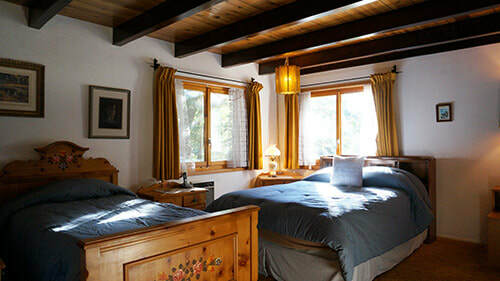 These bedrooms share one full bathroom. 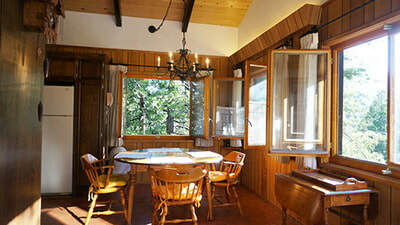 Upstairs you'll find a large great-room with numerous windows that provide beautiful views. 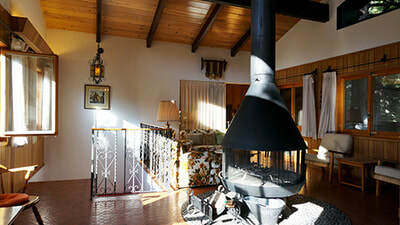 In the center of the room is a circular fireplace to gather around and enjoy with family and friends. 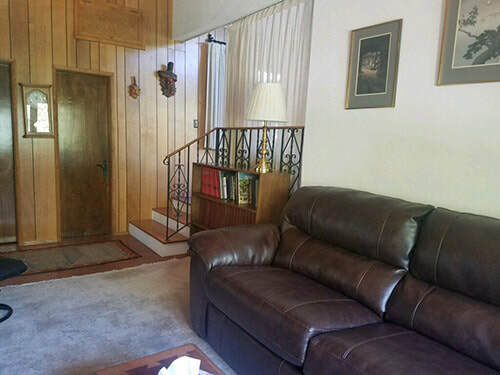 Just off the living room is a bonus room or den with TV, as well as wireless internet to keep up to date with the outside world, but that’s your choice of course. We think you won’t want to be bothered. 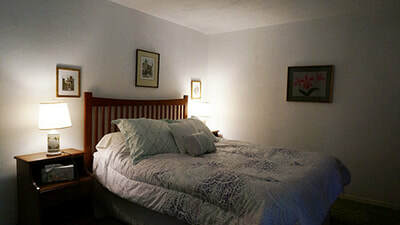 The sofa doubles as a queen size bed and there is a half bathroom on the same floor. 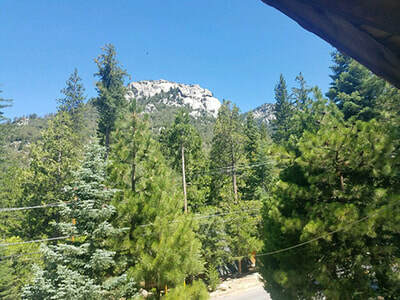 This room has great views of the mountain as well. The Kitchen is well lit and fully stocked for all your culinary needs. 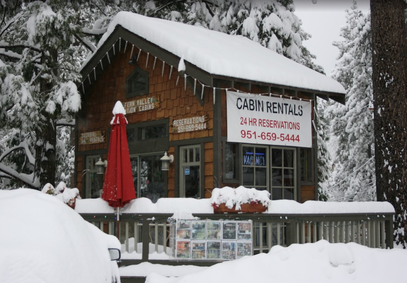 In winter months, because of its location, parking may require four wheel drive.